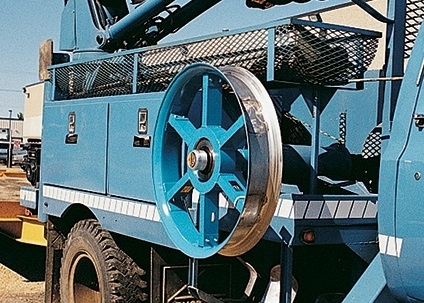 Slip Clutch Capstans from Condux are designed to mount directly on a bayonet style winch drive shaft. A factory preset torque limiter prevents pulling tensions from exceeding 600 pounds (2,670 N) ± 10% (60 lbs or 267 N). If the preset load is reached, the capstan will “slip" and discontinue rotating. 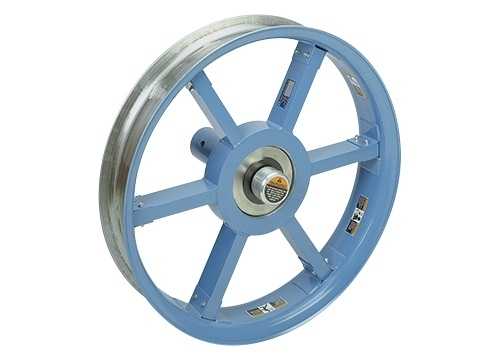 High strength aluminum and steel construction ensures product durability and cable protection. The capstan is factory calibrated to 600 lbs (2,670 N) but can be calibrated to different loads from 200 to 1,000 lbs. (890 to 4,448 N). The capstan is designed for use with a 27⁄16" (62 mm) diameter, AT&T specification bayonet style power take-off (PTO) shaft.